This weekend, cue the fireworks, start the music, and let the party begin. 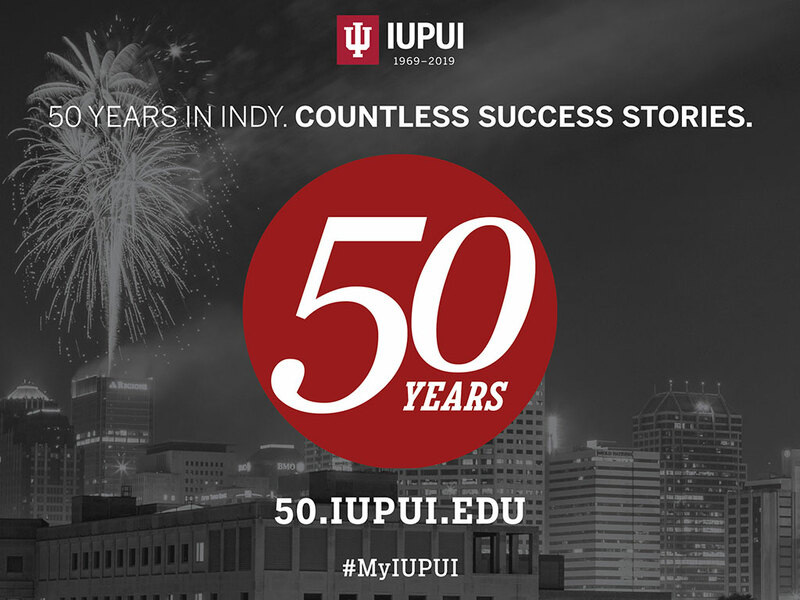 July 1, 2018, marks a milestone for IUPUI and the community as we officially kickoff our 50th Anniversary. This yearlong celebration will be filled with openings, unveilings, and special events that will excite you, inspire you, and make you proud to be a Jaguar. Join the festivities as we build on the impact our campus has made over our first fifty years. That impact can be measured in the remarkable achievements of our students and graduates, the discoveries IUPUI researchers and scholars make every day, and the community of support that helps each one of us achieve more. I want to thank you for all that you have given to IUPUI to distinguish our campus. We have done so much in our first fifty years, it's difficult to imagine what our first full century will hold. As we honor our past, celebrate our present, and envision our future, I encourage you to visit the 50th Anniversary website. There you will be able to share your own IUPUI story and find a full slate of events, including the first-ever IUPUI Fall Kickoff Celebration on August 24. I encourage you to save the date for a reflection on our history, a talent showcase, and much more. You have made IUPUI what it is today, and I look forward to celebrating with you on August 24 and throughout the year ahead. It's an incredible time to be a Jaguar!